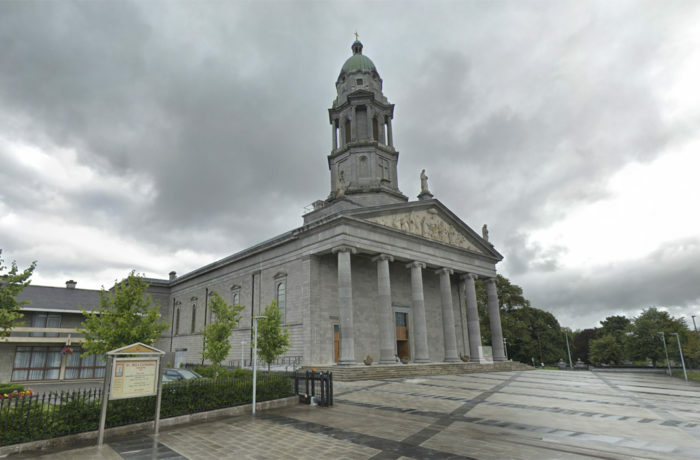 Following Midnight Mass on Christmas Eve 2009, a fire at St Mel’s destroyed the interior of the cathedral at Longford, along with most of its furnishings and fittings. On Christmas Day, Hegarty Demolition had a team of experts in position. The first tasks to be performed were to create a safe external perimeter and to provide assistance to the Longford Fire Brigade. Over the next few days, the team provided temporary propping and wind-bracing to the main super structure to make the building safe. Following this preliminary work the Hegarty team, which grew to over 20 at peak, braced the walls, propped the standing columns and prepared 3D scans of surviving interior finishes. These scans will be vital in restoring the cathedral to its former glory. Hegarty Demolition worked in association with experts from the National Museum of Ireland along with leading Conservation Architect David Slattery & Company, Moylan Consulting Engineers, Barrett Mahony Consulting Engineers & Interactive Project Managers Limited. Further Bracing of structural items involved fitting specially made steel collars around the cracked and unstable pillars. Specific propping to the underside of the Column Arches, please visit www.hegartydemolition.ie for a full project brief and up to date progress bulletins. One of the casualties was the content of the Diocesan Museum, located at the rear of the cathedral. Assembled in the 1930s and 40s by the late Fr Michael Kearney, President of St Mel’s College, the collection was moved to the cathedral in 1974. The team performed a painstaking removal of all the fire debris, sieving each load in order to salvage as much as possible. Their efforts have been rewarded in that over 30 per cent of the treasures from St Mel’s Museum have been recovered. The collection included almost 500 items and ranked among the finest ecclesiastical archives in the country, containing a variety of ecclesiastical material as well as objects of archaeological, historical and ethnographical interest. It included a number of objects of national importance, including the ninth-century Crozier of St Mel, patron of the diocese, which was found at Ardagh, Co. Longford in the 19th Century. Equally important were, the Shrine of St Caillinn of Fenagh, Co. Leitrim – a book shrine dated to 1536 and associated with Brian O’Rourke, Lord of Breifne – and the 12th century Clog na Rígh – ‘bell of the kings’ – also associated with St Caillinn. Of particular local interest were a number of ceremonial keys and trowels used in commemorating the foundations of the cathedral and other parish churches in the diocese.